Laja Hotel — Jeff Svitak Inc.
Just east of Ensenada, in Baja California, there is a restaurant created by the renowned chef Jair Tellez. As a complement and enhancement to the experience provided by this unique restaurant, the client called for the design and construction of a hotel with 8 rooms, a pool, and a wine pavilion for the patrons. 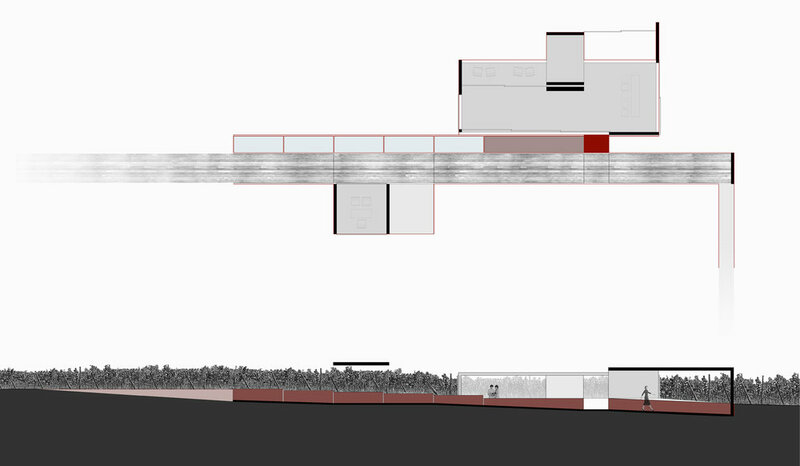 Each space was designed to integrate into the existing aspects of the site. A room, within steps of a vegetable garden, where you can smell and taste the produce that you will be enjoying with your meal later in the day. A room, elevated 30 feet in the air, located at the highest spot on the site, taking advantage of the remarkable views of the valley. A wine pavilion, sunken within the actual vineyard, to relax and enjoy.